Do you want Good Burger 2 to happen? Well, you better make your voice heard. Fans have started a petition to insure Paramount and Nickelodeon that a sequel is good business. And it looks like the original stars might be on board if there is enough interest in the project. The Care2 Petition for Good Burger 2 emerged after Good Burger Star Kel Mitchell said he and co-star Kenan Thompson have been discussing a sequel. This comes after the pair reprised their Good Burger roles on an episode of Late Night with Jimmy Fallon back in 2015, which became an instant viral smash. This also comes at a time when vintage Nickelodeon is a hot property, and all things 90s are very popular, with the nostalgia for Good Burger reaching its peak amongst millennials. For them, a movie like Good Burger is their Star Wars. You can sign the petition yourself at The Petition Site, where the petition, at the time of this writing, has almost reached its goal of 6000, with a current 5,920 supporters. Granted, 6,000 people saying they want any given movie is not enough to warrant it a greenlight, but it's a step in the right direction. Says the press release for the sequel. "90s kids know what they want: a sequel to one of their favorite childhood films, Nickelodeon's Good Burger. In 1997, the world of cinema was forever changed when Kenan and Kel's fast food comedy Good Burger graced the big screen. The film tells tells the story of bumbling Good Burger fast food employee Ed and his coworker Dexter and their attempts to shut down the evil competing chain Mondo Burger. Over the past decade, the film has become a cult classic. Recently, Kel Mitchell (who plays "Ed" in the film) said that him and co-star Kenan Thompson were considering making a sequel. America deserves a sequel to Good Burger. The world deserves a sequel to Good Burger." On a recent podcast, Kel discussed the possibility of a sequel actually happening, and he sounded quite opptamistic. Just a few weeks ago, he had this to say about the movement to get Good Burger 2 off the ground. Related: Kenan Thompson Is Ready for Good Burger 2, But Will It Ever Happen? "Everybody is talking about a Good Burger 2, us doing a Bad Boys type of film. Me and Kenan have definitely been talking about it. You might definitely see something coming up with me and him soon. We have definitely been talking about doing something big for the fans, because everybody has been looking for it." Mitchell and Thompson rose to fame while appearing on Nickelodeon's sketch comedy show All That from 1994 to 2005 and starred in their own series, Kenan & Kel, from 1996 to 2000. 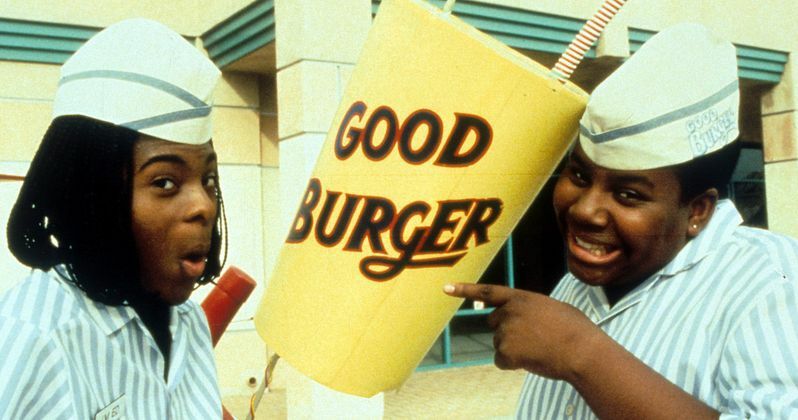 Good Burger, released in theatres in 1997, was based on an All That sketch featuring the same characters and fast food joint. The film has since gained a cult-like status among fans and '90s-era nostalgists. Writes Care2 petition author Sarah Rose. "There is no film that better captures my memories of growing up in the 90s. I implore my fellow Americans to join me and beg the powers-that-be to let us once again fly with fast food. In this time of great national division, we need Ed to return and unite us." Other '90s reboots have been overwhelmingly successful in recent years, with The X-Files returning for a tenth season and Nickelodeon hosting a 90's television primetime block called The Splat. Care2 (www.Care2.com) is a community of 39 million standing together for good. People are making world-changing impact with Care2, starting petitions and supporting each other's campaigns to help individuals, animals and the environment. A pioneer of online advocacy since 1998, Care2 is a B Corporation, or social enterprise, using the power of business as a force for good. If you want Good Burger 2 to become a reality, tell Paramount Pictures, Nickelodeon, Kenan and Kel that you want to fly with fast food once more. Tell them we need a Good Burger sequel! And to make it great.